The two unite, body to body, heart to heart. Two exciting sensations'Become ONE'together. 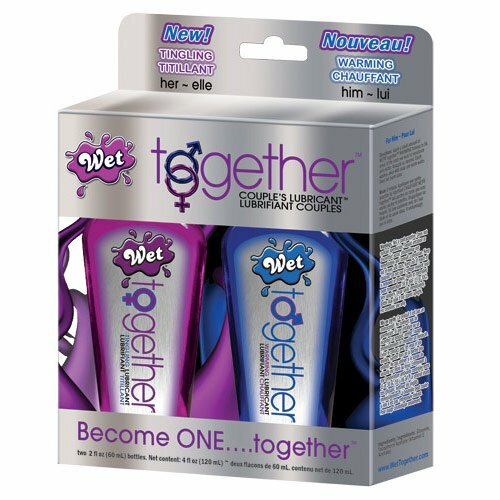 When combined, skin to skin, both unique Wet together formulas provide longer lasting, silky smooth lubrication and sensation. Use as needed to supplement natural moisture and gently enhance pleasure. Reapply as desired. Easily washes away with mild soap and warm water.